Your Aon Inpoint team is led by a Client Leader who will take overall responsibility to understand your business and integrate Aon Inpoint’s powerful capabilities using our proven techniques to engage effectively and globally across our organizations. The Client Leader is supported in relationship management services by Aon Inpoint engagement leaders located in the regions. They provide local market knowledge and insight, deep distribution experience and the ability to ‘join up’ Aon and carrier organisations. They also support carriers in adopting Aon Inpoint’s carrier analytics capabilities (such as the Carrier Dashboard and opportunity pipeline). The Client Leader and his team jointly lead a ‘Discovery’ process to identify potential sources of value for the carrier at both strategic and tactical levels. Along with the regional engagement leaders and a team of analysts, they work with senior management from the carrier to understand the carrier’s business context and strategy, benchmark the carrier’s position in the Aon book and identify areas that offer greatest opportunity for the carrier. The team leverage Aon’s data and analytical tools as well as client data to support the effort and provide fact based insight. The joint Aon Inpoint/carrier team then prioritise initiatives based on potential value and ease of implementation. Our teams are organised flexibly, bringing together the best skills for each individual carrier initiative. Our colleagues thrive on variety and working with colleagues who challenge them to think differently. The flexibility of our career paths and the challenging work have led to very low levels of staff turnover, which ensures that talented individuals stay with Aon Inpoint and continuously deliver richer experience and deeper insight to their carriers. 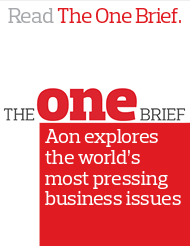 Reach out to Aon Inpoint to learn more about our unique engagement capabilities. Aon Inpoint supported us in our strategic thinking and the tactical implementation of it, connecting at different levels of our organization, from operational to strategic and executive levels. They enabled us to make informed decisions when we considered launching new products thanks to their access to Aon's database and to genuine feedback from the marketplace.